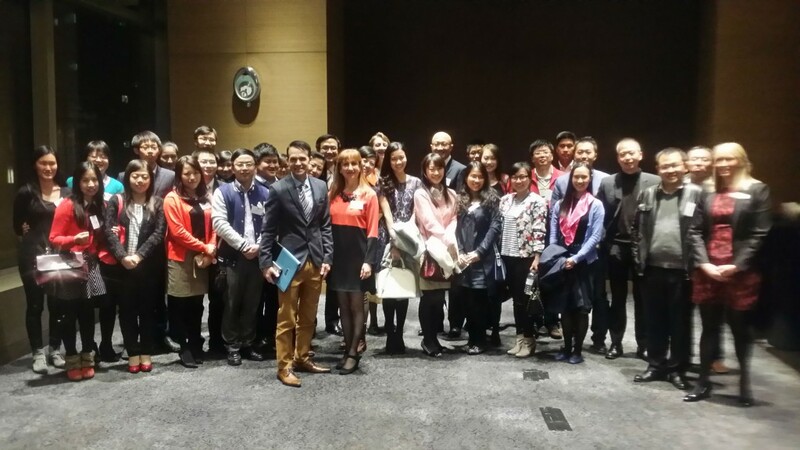 The very first Group of Eight Business School joint alumni event was held in Shanghai on the 13th November, 2014. It was sponsored by ANZ Bank and approximately 120 alumni from the Group of Eight universities attended a formal dinner at the Waldorf Astoria Hotel. The dinner included a panel presentation on the future of China education and Dean Lawrence Abeln served as a member on the panel. The event highlighted the special distinction of the Group of Eight business schools and their commitment to quality teaching and research. Prior to the joint alumni event, The Adelaide Business School of the University of Adelaide held its own alumni dinner. Graduates from the Adelaide Business School, together with other alumni of the Faculty of Professions attended. Dean Lawrence Abeln presented an overview of the school and the future of business education. We hope to hold more alumni events like this in the future! This entry was posted in Alumni Newsletter articles, News and tagged Business School Alumni. Bookmark the permalink.